It was great to welcome students from the Green Youth Employment course in ECO-UNESCO who came to visit our 3D textbook! Roberta brought them on an educational tour of the 3D textbook and hosted a talk about the centre and showcased all of its unique features. 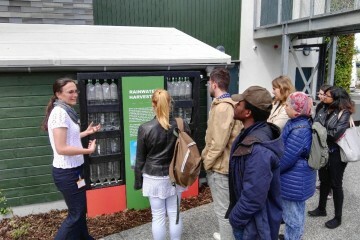 The students were fascinated by the green wall, the reed bed and our rainwater harvested made by reusing plastic bottles.